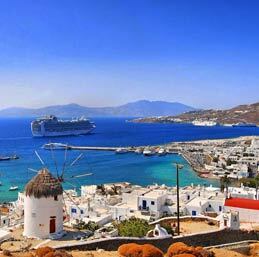 We are located in the centre of the picturesque Mykonos town only meters away from the beautiful seashore. Our rooms are quiet, air-conditioned and, apart from the private bathroom, provide the clients with free wifi access to the internet as well as television and refrigerator. At the bright and convenient lounge you can enjoy your breakfast and make your planning for the day ahead.